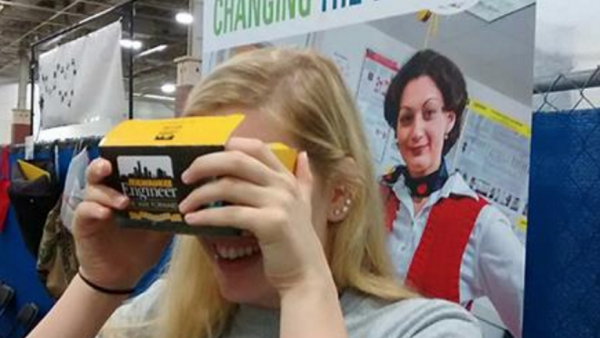 Click above to see a virtual reality tour of what UWM has to offer. Get hands on experience building a race car with the Society of Automotive Engineers. 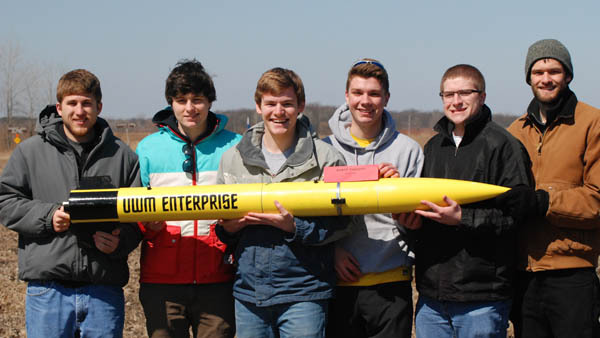 Build rockets and compete with the American Society of Mechanical Engineers. Now your hard work is paying you back. UWM Student Startup Challenge winner Kyle Ilenda with his LEVEL Cameras Product. 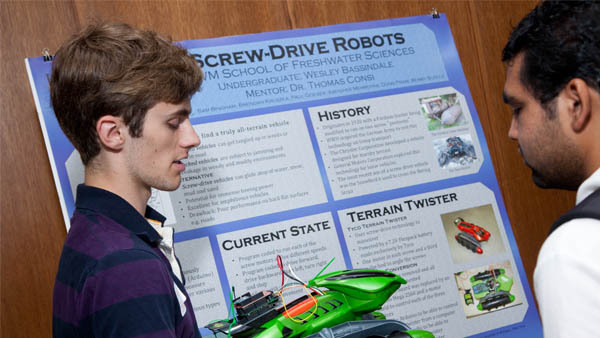 Participants in the UWM Summer Research Program for Undergraduates show their designs. Your personal academic advisor will help you succeed. Now your hard work is paying you back. 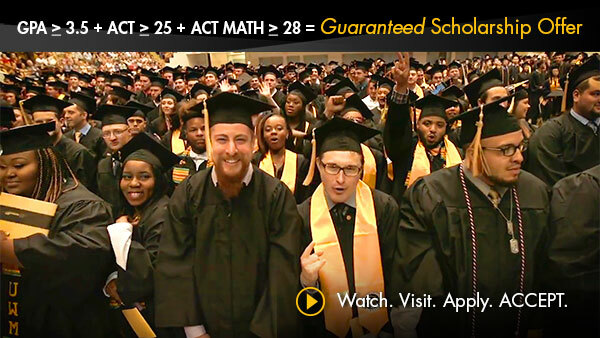 Bring us a high school GPA of 3.5, 25 ACT, and 28 Math ACT scores and we'll give you a renewable scholarship. Become an engineer in as soon as 4 years. Students with qualifying credentials are guaranteed direct placement in their selected engineering or computer science program. Over 20 engineering and computer science organizations await! Race a Baja car or concrete canoe. 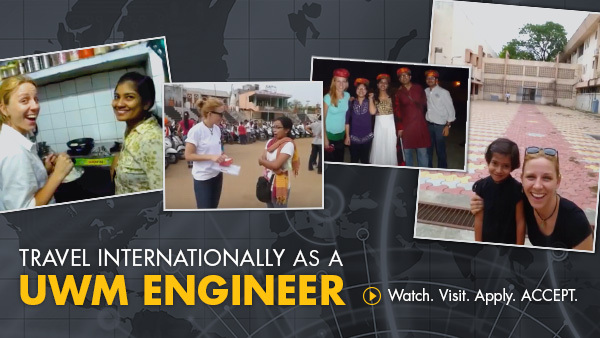 See the world with Engineers without Borders. Connect, explore, hang out and enjoy college life. There's a spot for you here. Take in Milwaukee's lakefront, parks, pro sports, theatre, festivals, dining, cool and funky shops and more. Milwaukee - your U-Pass is your ticket to fun. Get your game on with NCAA Division I Sports like basketball, baseball, swim, track or club sports like ultimate frisbee or football. Grab a latte, workout at the Klotsche Center, study in the Golda Meir Library or just hang out in a rich world-café-like campus with people of all interests from around the world. 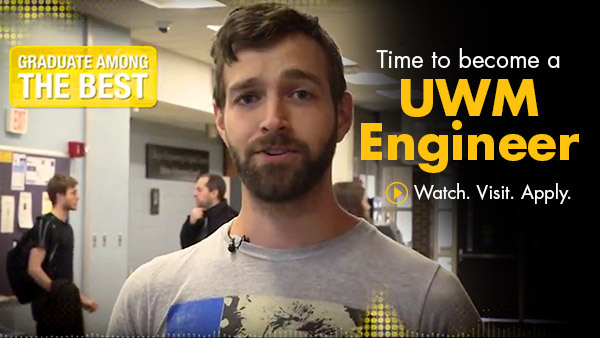 Learn to be a world-class engineer from world class faculty. The road to becoming a Milwaukee Engineer starts in some amazing places and leads you to amazing places! Many of our faculty began at some prestigious spots: MIT, Stanford, College Station, UC Berkeley. 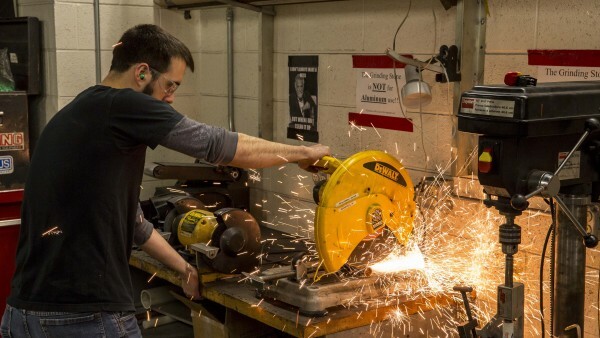 Schooling with Milwaukee Engineers - now that's your thoroughfare to opportunity. Land your dream job with on-site recruitment events, interviews, co-ops and internships with top regional, national and global employers. You'll graduate with real world experience employees seek and critical job search skills in resume writing and interviewing. 95% of our graduates land a job in their engineering field within three months. The other 5% successfully enters graduate school. That's 100% placement. Want to change the world? Start here! Take your classroom knowledge to the lab. 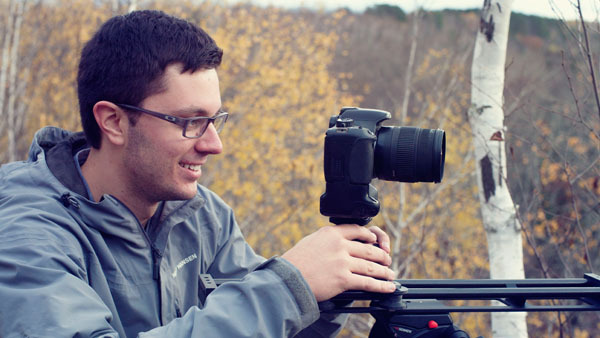 Tackle real-world problems through research like Brady Moe, Alex Slay or Erika Pliner. Our research labs and centers offer you a playground for discovery and innovation. Take your discovery to market. We give you a hand with programs like the Student Startup Challenge. Or, help a company take its product or service to market and gain vital experience in the Product Realization Class. Stretch your limits with knowledge and discovery. Why stop at a Bachelor's? 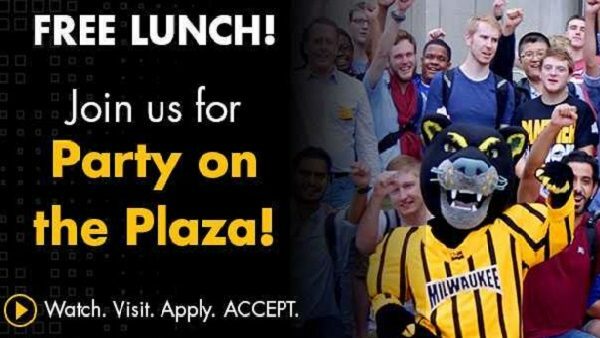 Progress to graduate school at UWM with our Integrated Bachelor/Master Degree or a Master's of Science. 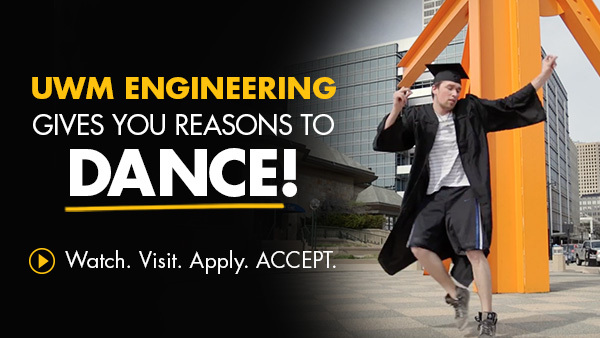 Then, move on for a Ph.D.
You'll graduate into a distinctive community of Milwaukee Engineers with almost 10,000 UWM College of Engineering & Applied Science alumni, 148,000 living UWM alumni and hundreds of business and industry partners.